Peanut butter? On a burger?! Far out, man. Now that we’re post-gourmet-burger-boom, this should no longer be shocking. Burger restaurants everywhere are trying to come up with inventive burgers and unique toppings. 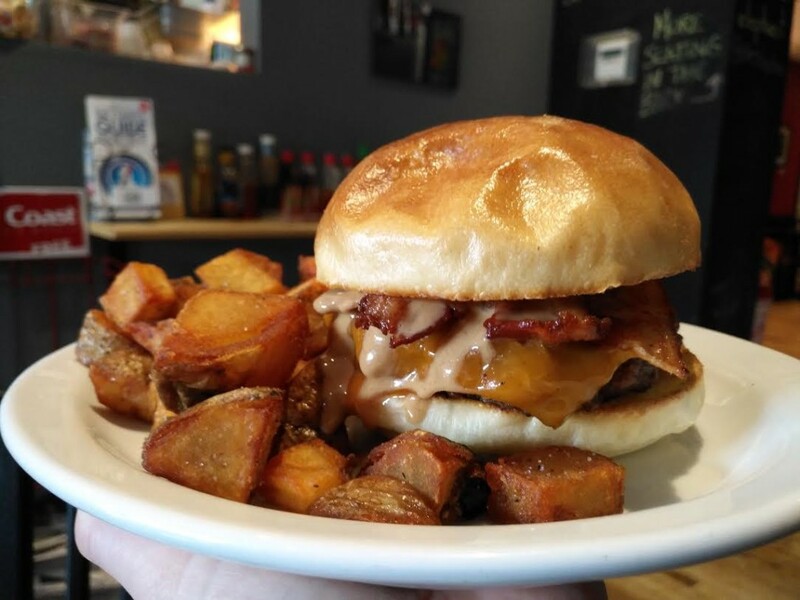 Ottawa’s The Works has been serving peanut butter burgers since 2001 and Toronto’s Dangerous Dan’s has been serving their “Elvis Burger” possibly as early as 1999. 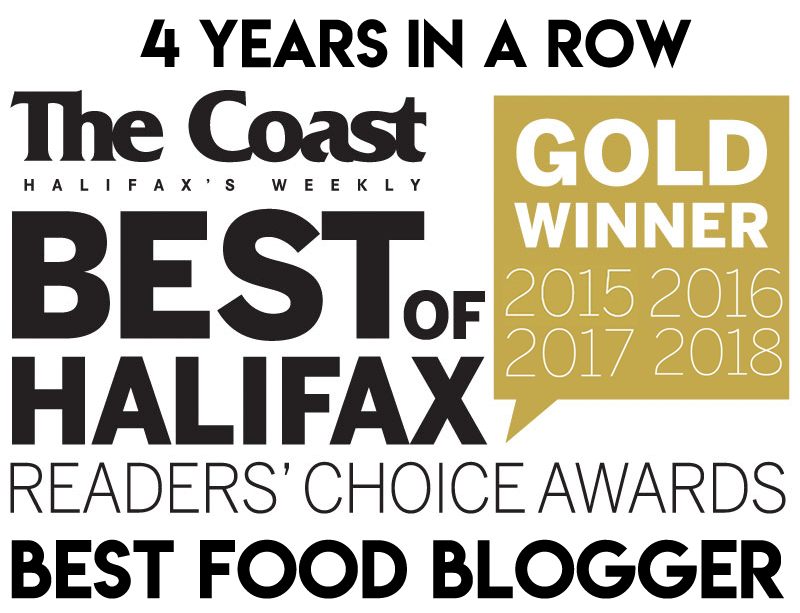 But Halifax has been doing it since 1992, and the peanut butter burger has cult status here. It’s often considered a rite of passage, and indeed, Darrell’s is a hot spot for many of our newest Haligonians: university students. Darrell’s was the first of the “gourmet burger” restaurants in Halifax, preceding the trend by 20 years! They will be celebrating their 25th Anniversary in June – so here’s to the iconic Darrell’s Peanut Butter Burger! … and a few others you’ll find around the city! $13.49 /w Darrell fries ftw! My Other Brother Darrell’s was first opened in 1992 by two brothers, with one managing the laundromat downstairs while the other worked the restaurant upstairs (a light at your table indicated when your laundry was done). In 1997 it was sold to Dan Joseph, who would eventually shorten the name to “Darrell’s” in 2004. 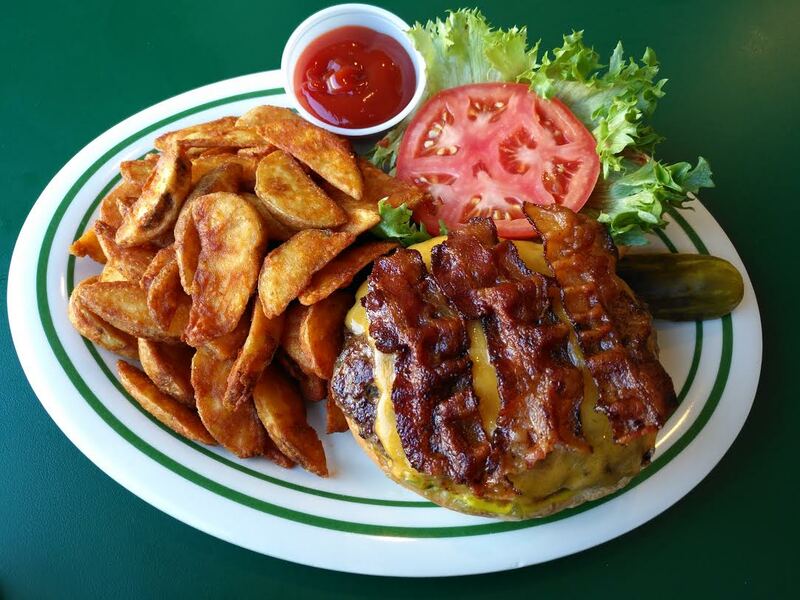 The peanut butter burger came into existence in the early 90’s when a server whimsically added crunchy peanut butter to a BLTCM Burger – that’s bacon, lettuce, tomato, cheddar, mayo, mustard, relish and ketchup. What started out as a staff secret eventually made it to the menu, and everybody at Darrell’s was surprised when it won “Best Burger” in The Coast in 2002. 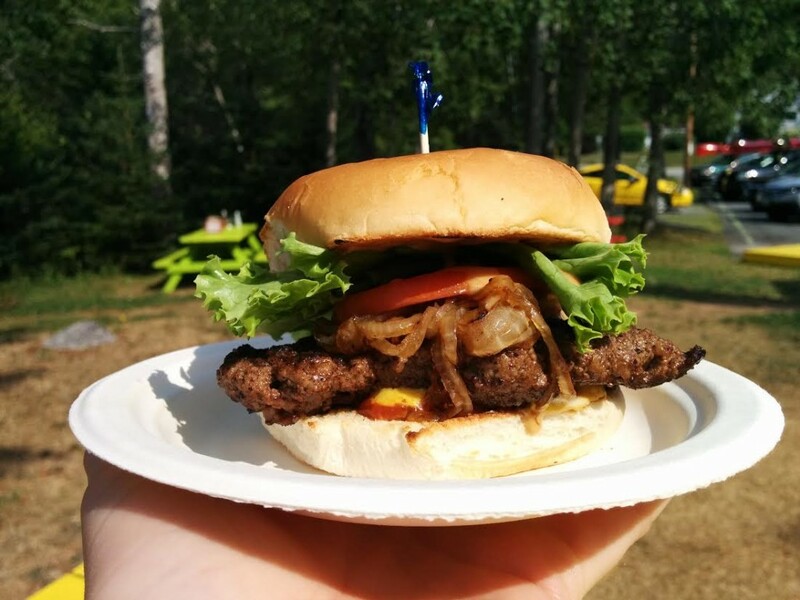 Even more accolades came in 2012 when Reader’s Digest included it in their article Canada’s 8 Greatest Burger Restaurants. 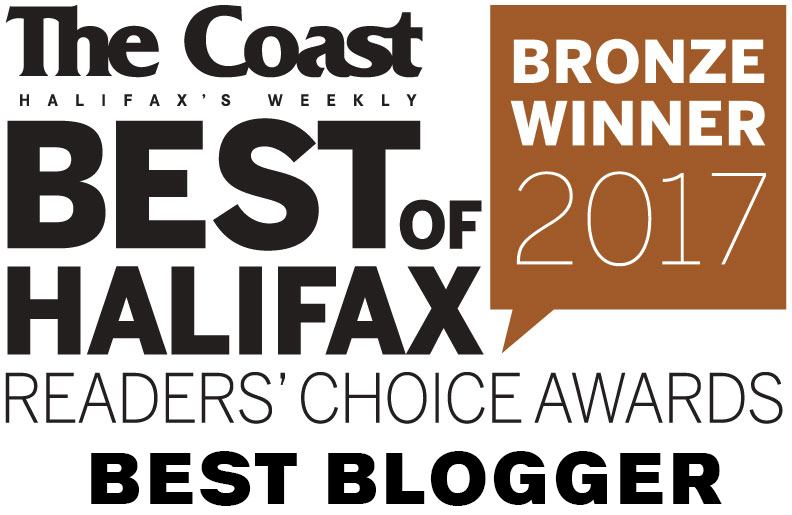 Between 2002 and 2012 Darrell’s held the #1 spot in The Coast’s reader’s choice awards. Then in 2012 the gourmet burger boom arrived with chef-inspired Cheese Curds opening in Woodside. Then came Ace Burger and the like, pushing Darrell’s out of first position for several years. Darrell’s has always rolled with the punches, though, and they switched out their 6oz frozen patty for fresh Angus Beef, bought an industrial patty former and had their kitchen totally re-organized by a ship’s galley designer. As of 2016 Darrell’s is back at #1 and the peanut butter burger and milkshake you enjoyed in university are here waiting for you, exactly as you remember them! What sets this burger apart from the others is that instead of using straight up peanut butter, they use a peanut butter cream cheese. OMG yes! 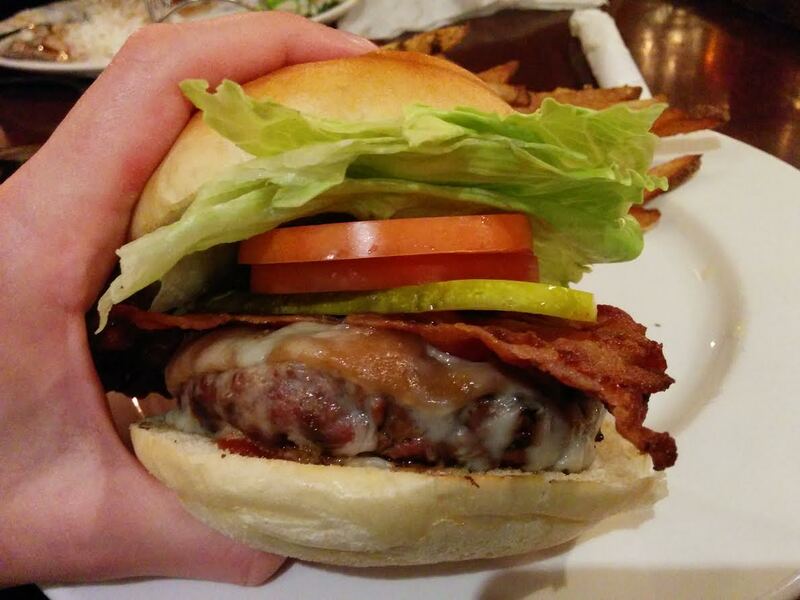 This burger is also fully loaded with bacon, lettuce, tomato, pickle, Swiss cheese, mayo, relish and ketchup. That makes for a well lubricated, albeit somewhat sloppy burger. The meat is ground in-house from a mix of inside round and brisket, and it is cooked to an internal temperature of 160º F. I love a beefy burger and hand-cut fries with craft beer, so I love Rock Bottom. But as far as peanut butter burgers go, I think the balance of ingredients worked better when they were using thinner patties. Update: Flip Burger is no more. Flip Burger’s contribution comes topped with Oultan’s double smoked bacon, red onions and jalapenos. The first time I tried this burger I found it too dry; peanut butter burgers need some sauce to lubricate the sticky peanut butter. I would suggest adding some Flip sauce, tomato and lettuce to this, as I did on my last visit when I enjoyed this burger immensely. White Sails Bakery is a colourful, seasonal operation on the Peggy’s Cove loop known for their smoked meat sandwiches and sugar pie. They also make a pretty solid burger, and the menu lists a “Peanut Butter Burger” dressed with fried onions, tomato, lettuce, mustard and ketchup on a toasted bun. While nice and saucy, the ketchup and mustard distract a bit from the peanut butter theme. It tastes more like a good diner burger, spread with peanut butter for a joke. Order with discretion. Elle’s Bistro is a family-run downtown diner, open for breakfast and lunch until 5pm daily (3pm on Sundays). They make a wild variety of burgers, bennys and sandwiches which they serve with home-fries. I think this is my new favourite peanut butter burger! This is a good beef-forward burger, with an incredible, subtly sweet bun that holds sturdy. The peanut butter is heated and runny, so additional sauces are unnecessary. 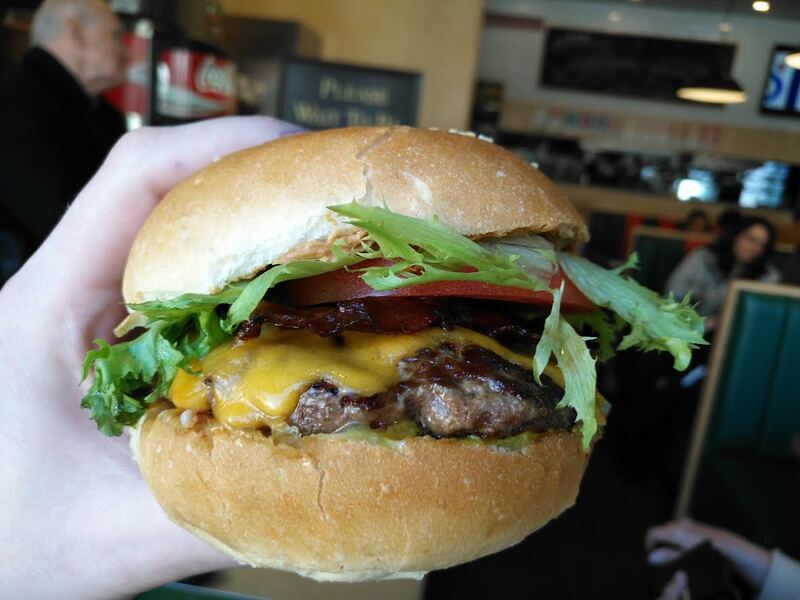 All that is needed is the crispy bacon and sharp cheddar cheese and voilà – perfection! 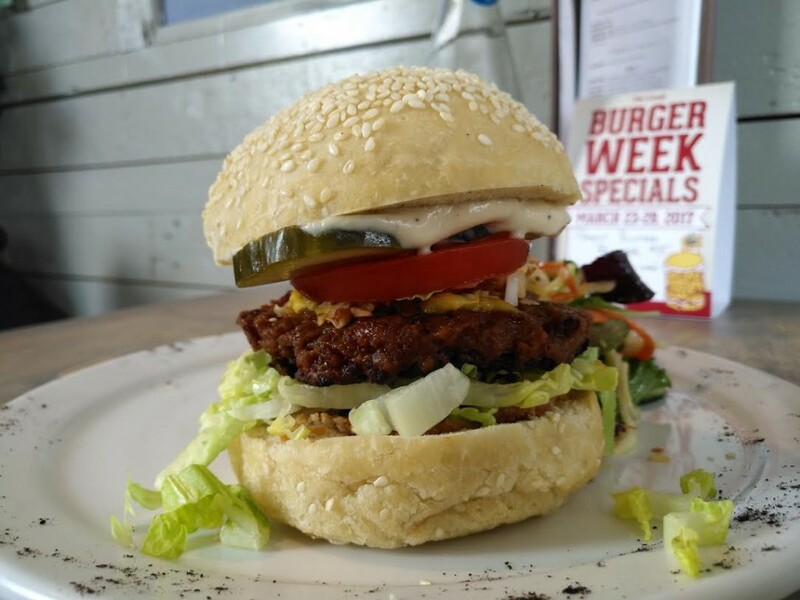 EnVie served a vegan peanut butter burger for Halifax Burger Week 2017! The Fickle Frog Pub featured “The Sticky Burger” as a weekly special once or twice, and peanut butter is a readily available topping if you want to build your own. Beaverbank Station serves up a “Peanut Butter Bacon Burger” ($15) adorned with peameal bacon. My sources tell me it is quite good. It seems that the peanut butter craze has made its way to Truro, as you’ll find it at Hub Grub ($8.95/$12.95 combo). This one’s got peanut butter spread onto both buns, and is topped with lettuce, tomato, onions, pickles, cheddar cheese, and bacon. Did I miss any? 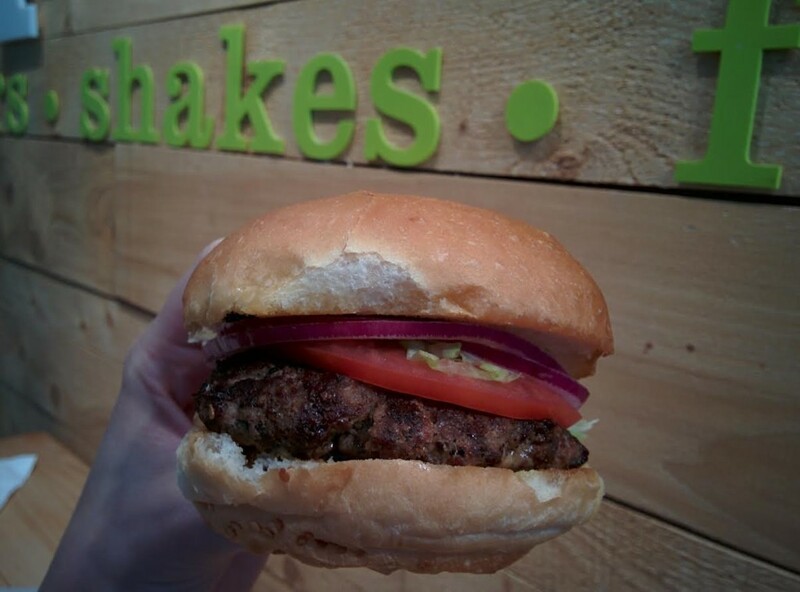 Where is your favourite peanut butter burger?